Febrile neutropenia is a medical emergency that complicates the clinical course and treatment of haematological malignancies, significantly enhancing the financial burden and worsening the overall outcome. This study was carried out to evaluate the efficacy of institution’s current first-line antibiotic regimen for febrile neutropenia in view of recent spectrum of institution’s local flora and its susceptibility pattern. 163 episodes of microbiologically documented infections in 110 adult patients were studied over a period of 1 year. Of 110 patients, 61 patients were male. The mean age of the patient population, mean absolute neutrophil count and temperature as documented were 30.1 years (SD ± 16.8), 450 cells/ul, and 101.9 °C respectively. Gram-negative and gram-positive organisms accounted for 79% and 21% of the febrile neutropenic infections respectively. E. coli and Staphylococcus aureus were the most common gram positive and gram negative pathogens respectively. A susceptibility pattern of > 60% was documented for all the gram negative pathogen’s associated febrile neutropenic infections for the current first-line antibiotic combination of Piperacillin/Tazobactum and Amikacin. 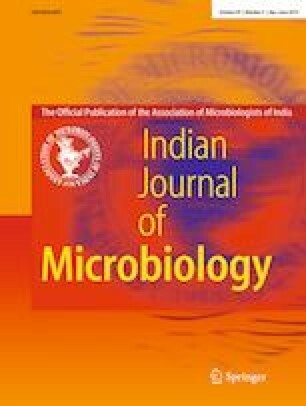 Comparative analysis of results with the institutional data of 2015 study revealed no statistically significant difference in the resistance pattern of the organisms hence, validating the persistent use of Piperacillin/Tazobacum and Amikacin combination as a potent and efficacious therapy for febrile neutropenia patients with haematological malignancies. However, continuous surveillance remains prudent for the emerging changes in the spectrum and resistance pattern of local flora so that timely revision of empirical antibiotic regimens can save the added financial burdens and associated high morbidity and mortality. The online version of this article ( https://doi.org/10.1007/s12088-019-00789-y) contains supplementary material, which is available to authorized users. AJ conceptualized and investigated the study and wrote the manuscript. NF and BK performed the statistical analysis. QR, UZ and MB played their part in searching literature and supervision of project. TS and SS supervised the study and critically reviewed the manuscript. This study was approved by the Institutional Review Board and informed consent was taken from the participants prior to the study.